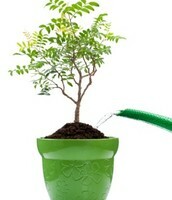 An average American uses about 80-100 gallons of water per day. Wow! 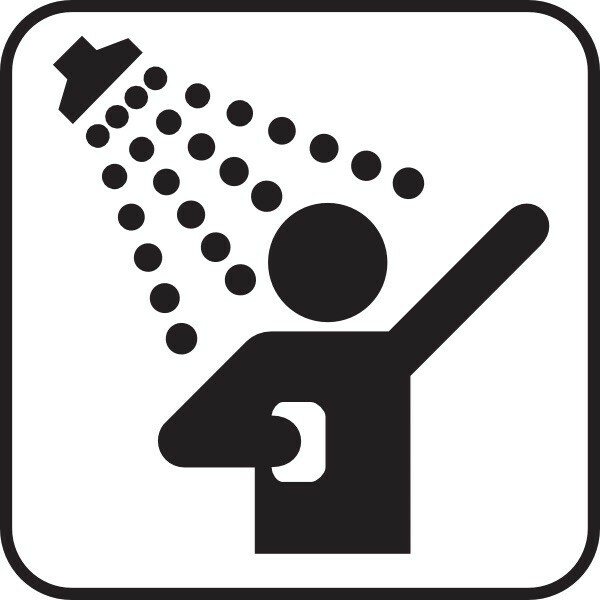 An average American uses about 17 gallons of water for showering purposes per day, and a person uses about 1 gallon of water if we turn the water off when we brush our teeth. However, we use about 4 gallons when we leave the water going. California uses a total of 38 billion gallons of water every single day(including reservoirs and canals). 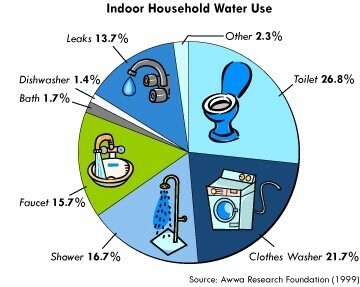 Californians use water mainly for house purposes(toilets, washing, drinking, showers) and agricultural purposes. 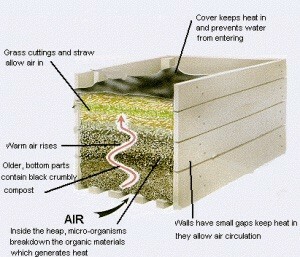 Make compost from the things you throw away so you don't have to water your plants as often. 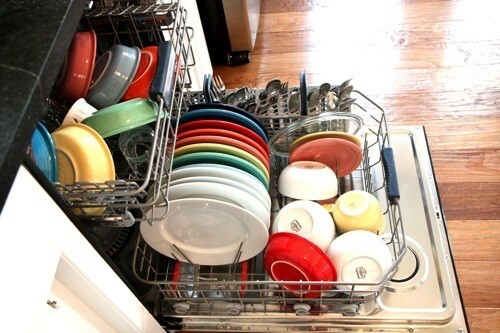 Only run the dishwasher when it is full so you won't have to wash the dishes as much. Turn off the faucet after you wet your toothbrush and fill your cup to rinse. 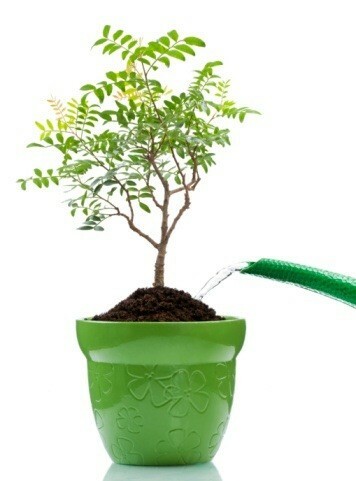 Remember to water plants only when they need it! 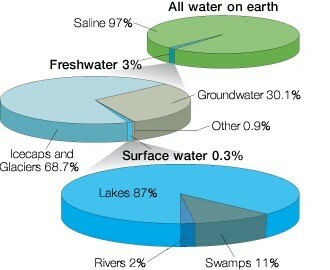 Saltwater is about 97% of Earth's water, but freshwater is only about 3%. Most of our freshwater is actually in ice at the North and South Poles. 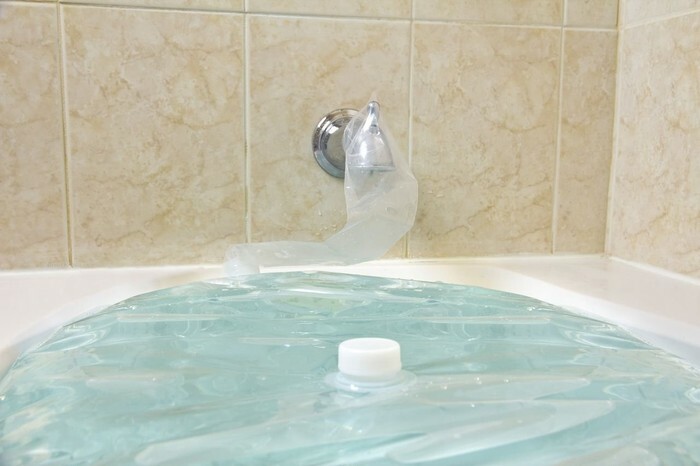 So, that leaves our actual usable water in lakes, rivers, and ground waters. This is even less than 1% of Earth's water.